We have over twenty years experience of corrective orthopaedic farriery based on Trevor’s training at the National Stud of France in Normandy. 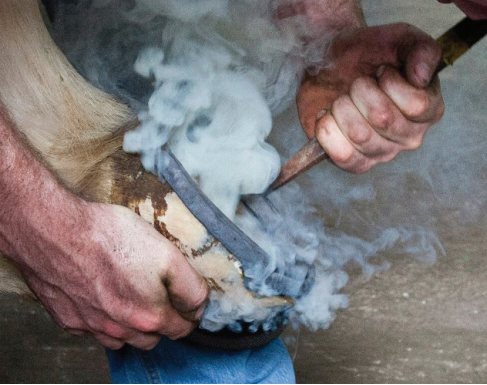 The all important footcare of your horse will benefit from our constant observation and care with an inhouse working forge ensuring that early corrective work is carried out on an ongoing basis. We also have 2 outfarms giving us a total area of over 600 acres of lush fertile well maintained pastures managed by experienced staff and ensuring that all boarding mares and youngstock receive the best possible conditions for a long term stay.